How to make your own natural herbal beauty products, cleaning products and perfumes. The effect of cooking with herbs – and what vitamins, minerals and antioxidants are lost during cooking. 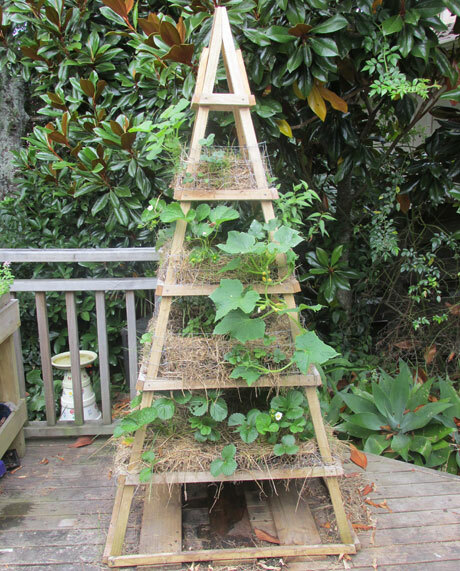 How to grow, propagate, harvest and preserve your own herbs. 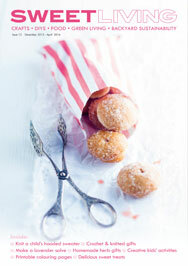 I had to drop a line and tell you how much I love this magazine! It’s the most beautiful and inspiring read I’ve had for a while! 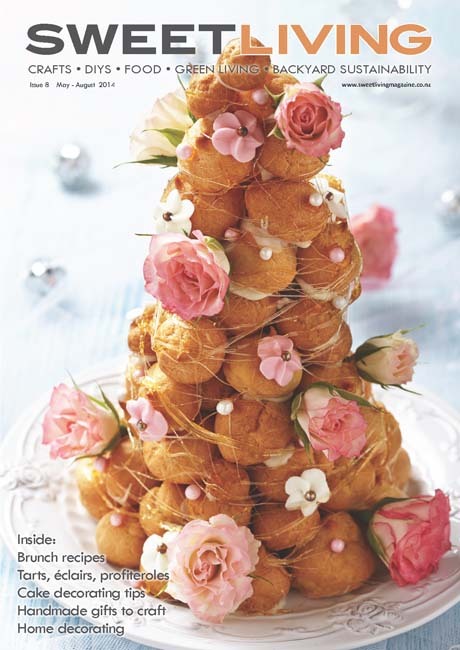 The content is very high standard and the recipes!…can’t wait to try those magnificent cakes! 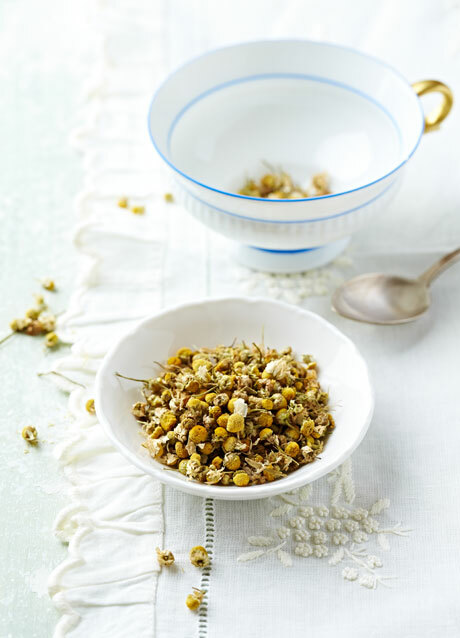 Thanks as well for the first module of the Herb Course – I’m just going through it again and revising now – so well written and referenced – what a great way to start learning – fabulous value! I thoroughly enjoyed Module 4 and can see I will this one too. Thank you so much for making these available online. Module 6 is brilliant! Very informative and helpful – and the table of 25 Herbs to Propagate is just what I’ve been looking for. I’ve started planning a herb collection so this is so useful in terms of choosing what I’ll be planting. I also never thought of planting cumin or cardamom, but I will now, as I use those spices all the time! Keep up the great work, Jane – and thanks again! I’m really enjoying the modules. They’re really interesting and easy to read. There are six modules to this course, and one module is sent once a week. But you do not have to complete the module in a week. You can read it any time you like. If you don’t want to read it until next year, that’s fine! 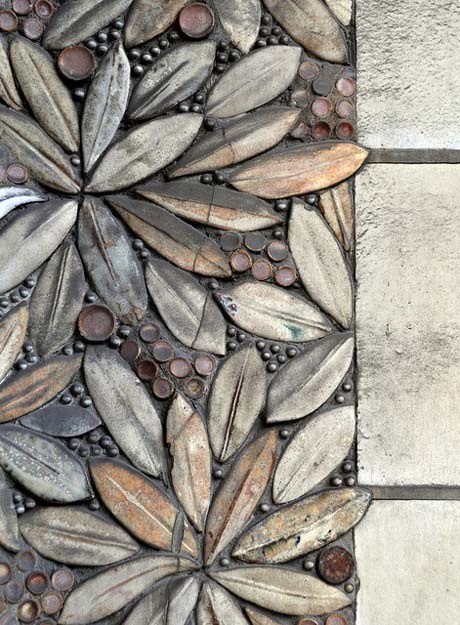 At first glance I thought this was paving, but when I read the description I found it was actually cladding for a 1903-1904 apartment building in Paris. I think it’s gorgeous, and it would make the most exquisite paving, wouldn’t it? I wonder if I can make some leaves or petals out of concrete? Photo from seier+seier’s Flickr photostream. 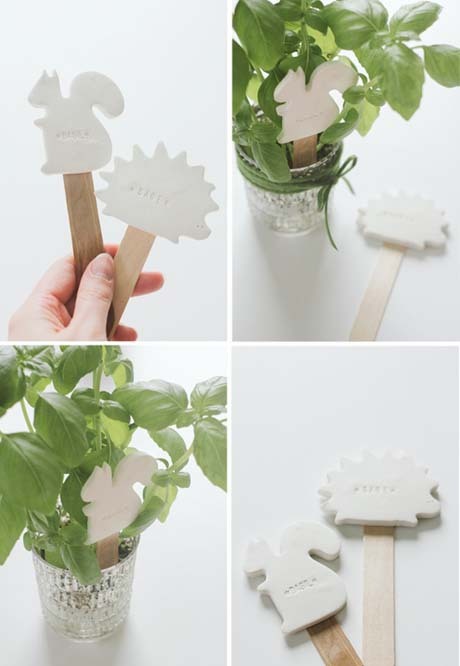 Aren’t these the cutest plant labels ever? The little critters are fashioned with cookie cutters and oven-bake clay. 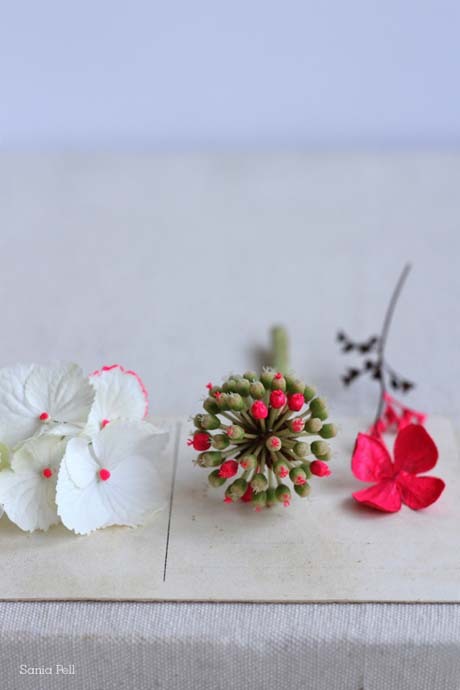 A customisable stamp is then used to print the name of the plant into the clay. It’s so simple, but so very clever! Get the full instructions here. 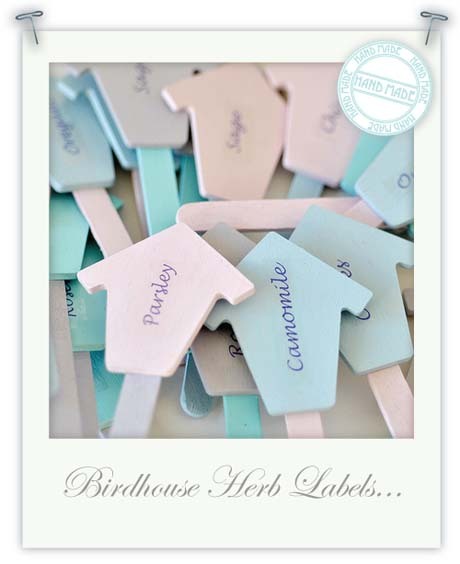 This is such a cute idea for flower and herb labels. I’m not entirely sure whether we have these in New Zealand though, but if you’re handy with a jigsaw you could cut out your own shapes. 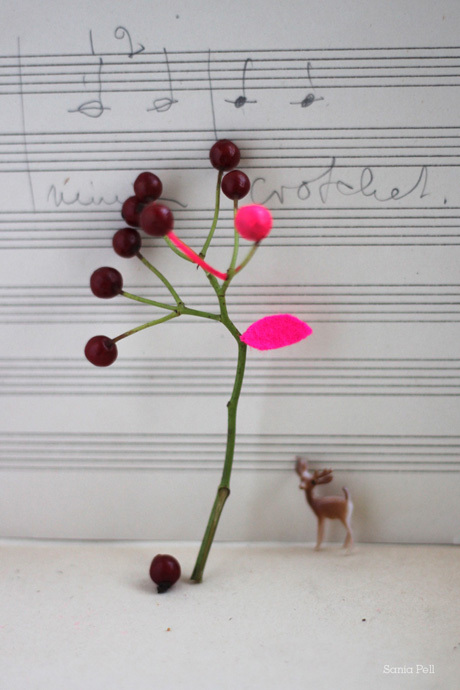 This lovely project features over at Torie Jayne. Check it out. 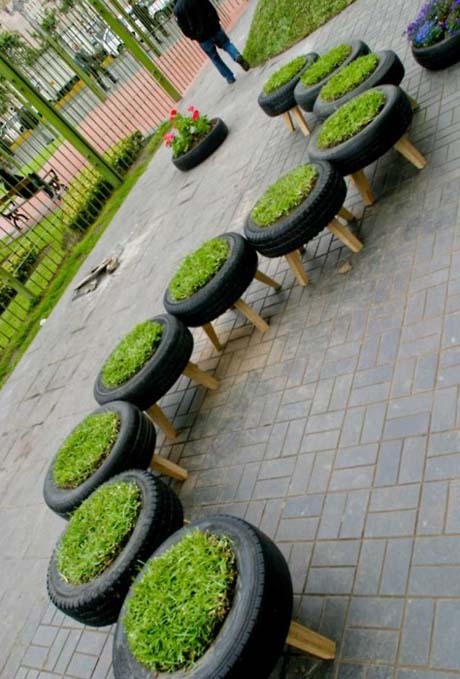 Here’s a super smart idea for recycling tyres. Turn them into lawn seats. 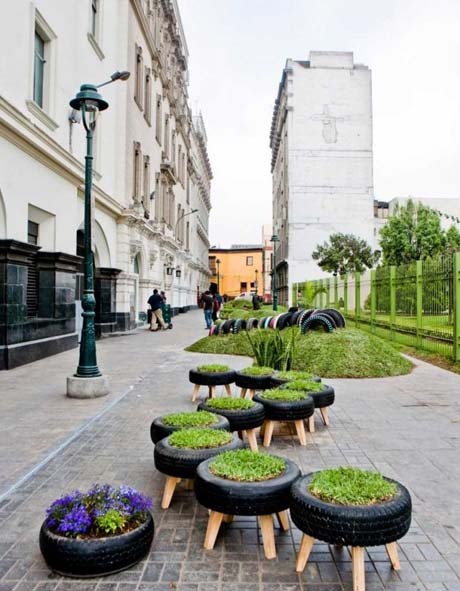 This park in the historic town of Lima, Peru incorporates tyre planters, tyre seats and a children’s playground made up of recycled plastic and tyres. How clever is that?! 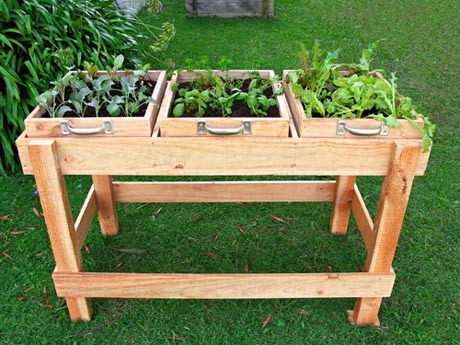 Here’s a clever idea for growing salad greens and herbs year round – a salad bench that can easily be positioned on a sunny deck, a patio – anywhere you like, really. It can also be used for sowing your cut flower seeds, raising them to seedling stage, before they’re ready to plant out. 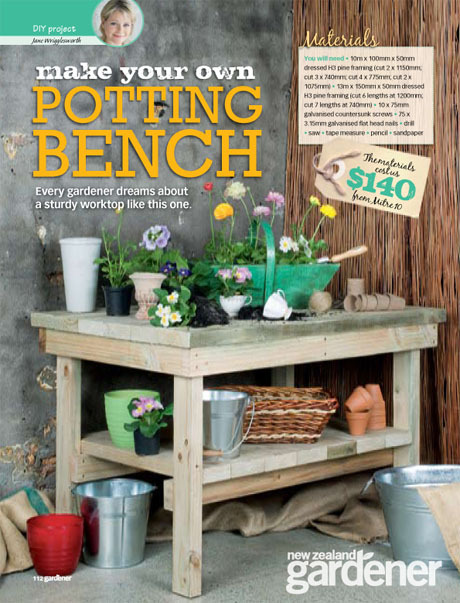 Head to the Sweet Living website for step-by-step instructions and photos.